Changing the oil in your car may not be something that you think about often, but it should be considered on a routine basis if you want to drive your vehicle for many more years. Motor oil is vital to the overall performance and safety of a vehicle, which all influence longevity as well. Without clean motor oil, your car’s engine is at an elevated risk of damage. Engine damages are quite costly, and often render a car a total loss. So be sure you take good care of your car engine with routine oil changes. Continue reading to learn what you need to know about changing the motor oil in your vehicle. Cars, trucks, and other vehicles have different requirements when it comes to oil changes. The frequency at which you need to change the oil will differ depending on various factors, including the make and model of the vehicle, and how often you drive, and the type of driving you do. It is standard, however, to measure the length of time between scheduled automotive fluid services in distances. For example, most manufacturers suggest cars should have their oil changed every 3000 to 5000 miles, depending on the make and model. The best way to accurately determine how often you need to change your vehicle’s oil is to refer to the vehicle’s owners’ manual for factory instructions. If you’ve lost your owners’ manual, simply go online to the manufacturer’s website and download a PDF version for free. 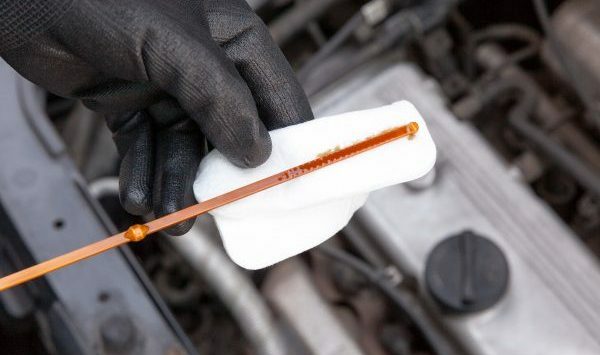 You should also check your motor oil on a weekly basis. ➀ Park your car on level ground. ➁ Turn the engine off and remove the keys from the ignition. ➂ Let the engine cool completely. ➃ Open the hood and locate the oil knob. ➄ Unscrew the knob counterclockwise and set it to the side. ➅ Pull the dip stick out and wipe it clean with a towel. ➆ Push the dip stick back in, wait a second, and then pull it out. ➇ Check the level. It should be between the two marks. ➈ If not, you need an oil change! Some of the above-mentioned automotive issues that result from a lack of oil changes may render a vehicle a total loss. Then occurs when the total cost of the repair exceeds the total current value of the vehicle. For instance, if your vehicle has a current market value of $1700, but the cost to replace your engine is $2200, your car is considered totaled. In this situation, you can redeem the insurance money for it, or sell it to an Indianapolis junk car buyer for instant cash on the spot. Call GC’s Junk Cars at 317-608-2188 if you have a junk car to sell in Indianapolis and its surrounding areas. Not only do we accept all vehicles, regardless of age, make, model, and condition, we also payout the highest returns for junk vehicles in Indiana. Just accept our offer and we will come pick up your junk car! Contact us today to request a free estimate! This entry was posted in Junk Car Buyers and tagged how to change oil, how to check engine oil, Indianapolis junk car buyer, oil change guide, oil changes tips. Bookmark the permalink.